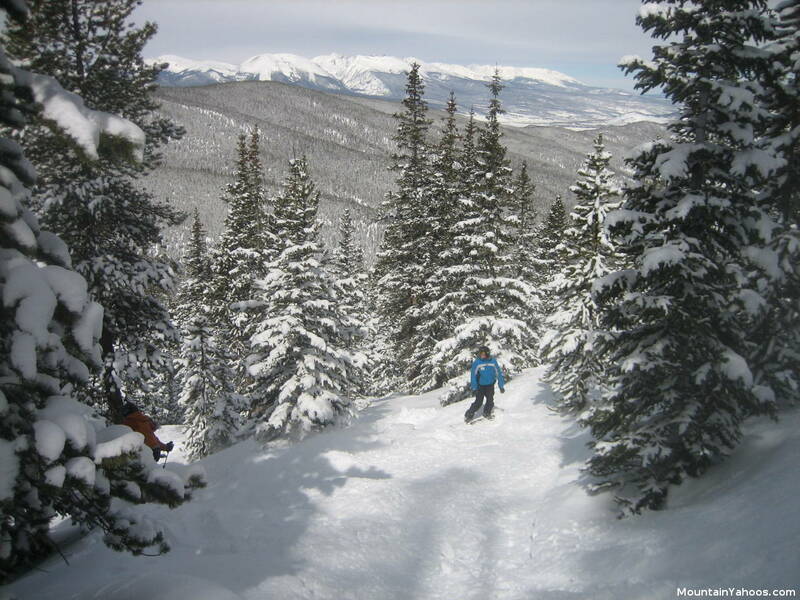 Keystone is comprised of three peaks (Durcum Mtn., North Peak and "The Outback") which naturally divides the terrain between the beginner / intermediate runs and the advanced runs. 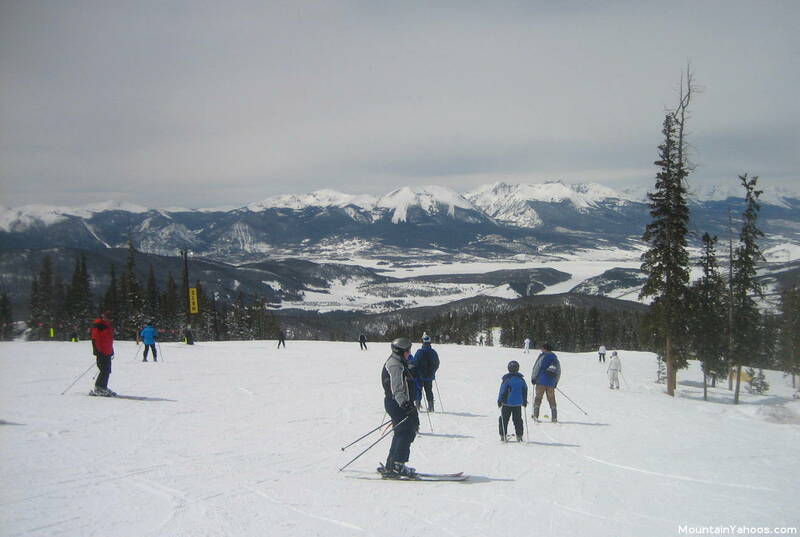 The back bowls of Keystone are accessible from these peaks. The first peak closest to the main village is Durcum Mountain and has the bulk of the beginner and intermediate runs as well as the massive terrain park, Area-51 and kids ski areas. Also, it is here on this first peak that night skiing is available till 9:00pm. The next peak as one travels deeper into the Keystone resort was my favorite, North Peak. This mountain has "Mine Shaft", the signature bump run and awesome tree skiing if you know where to go. 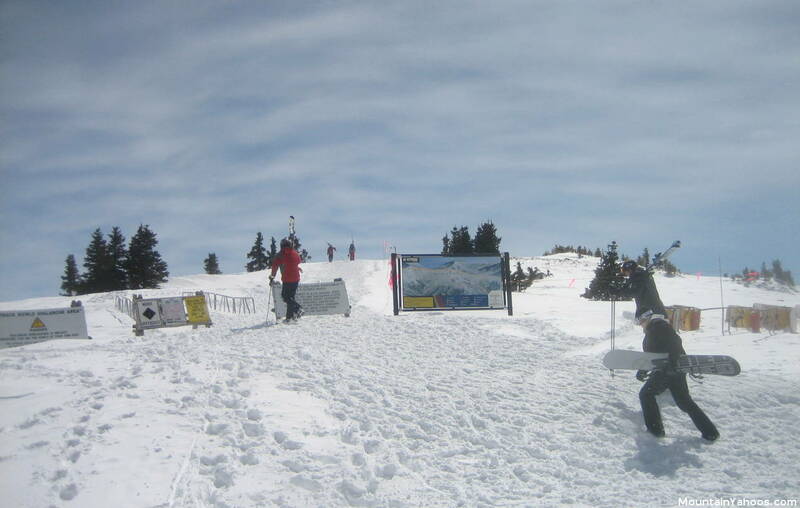 The "Outback" is the furthest peak from Keystone village and it has a $5.00 snowcat ride (check for schedule of operation) to the top of North and South Bowl. 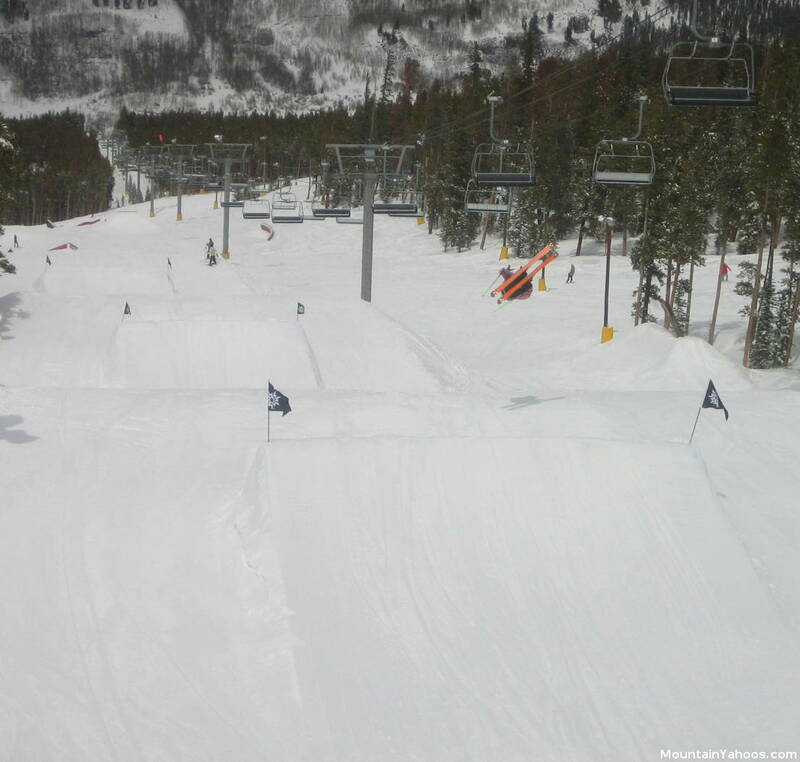 It also has "Elk Run", a half groomed, half mogul run to keep your significant other from abandoning you while you seek some good times on the moguls. 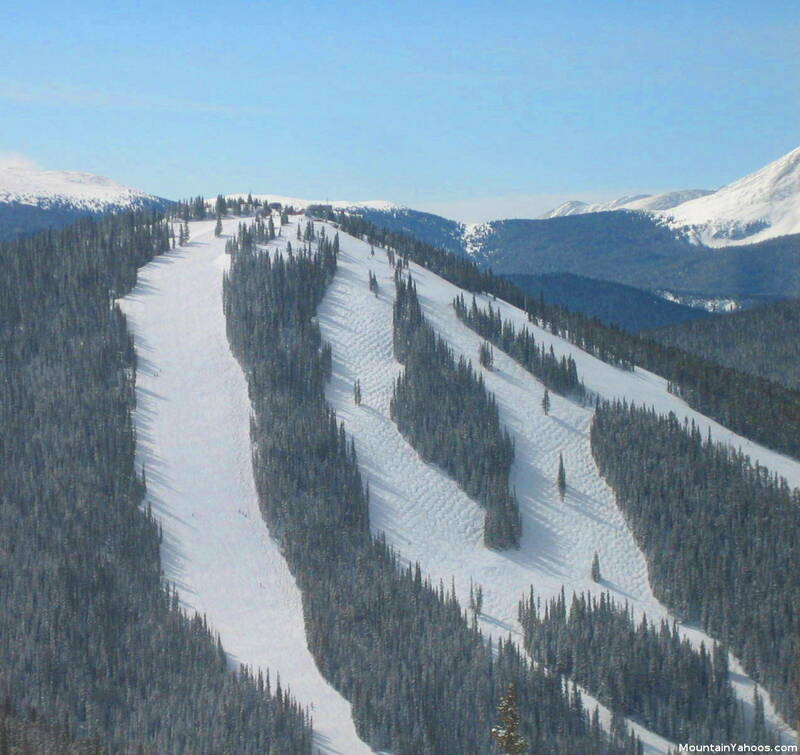 Keystone also has night skiing on the blue and green runs fed by the River Run Gondola to the peak of Dercum Mountain. This ski resort is massive and has something for everyone. If you enjoy skiing the trees, bowls, bumps, groomers or terrain park, you will be happy here. The only terrain missing is the steep chute. Note that all bowls close at 1:30 pm. 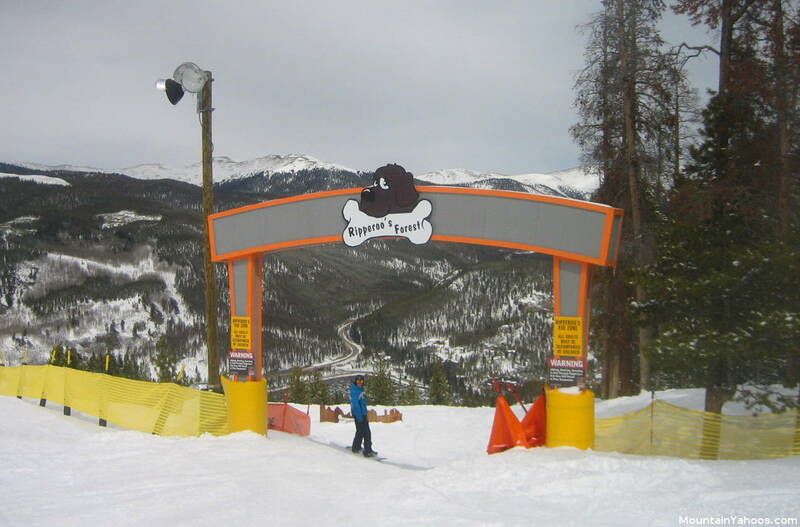 The run "Mineshaft" runs off of North Peak and to many, is the favorite mogul run on the mountain. 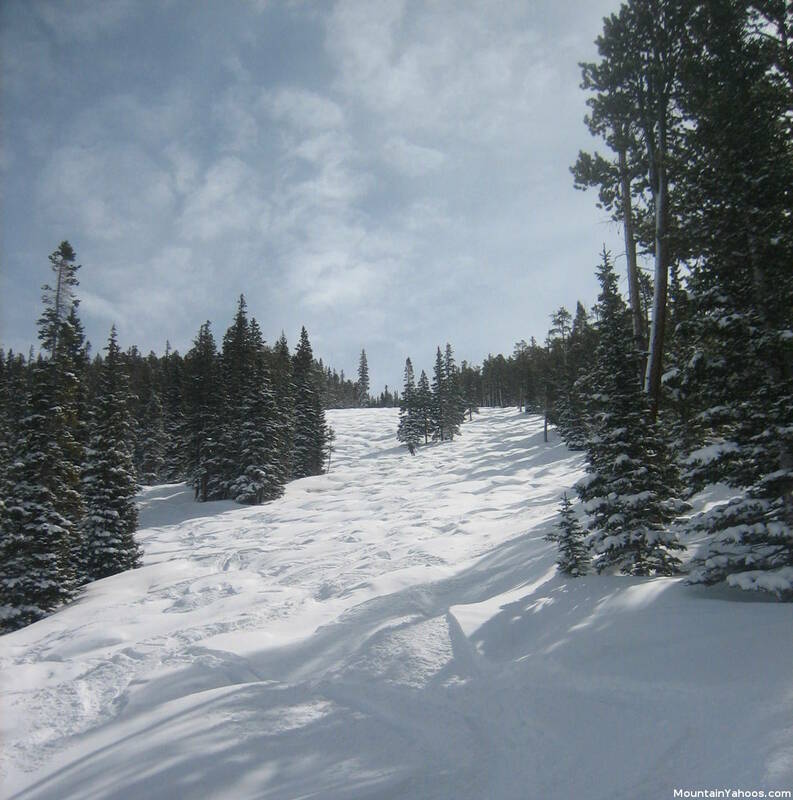 Shown in the photo below is "Mineshaft" after a fresh foot of powder: heaven on earth. 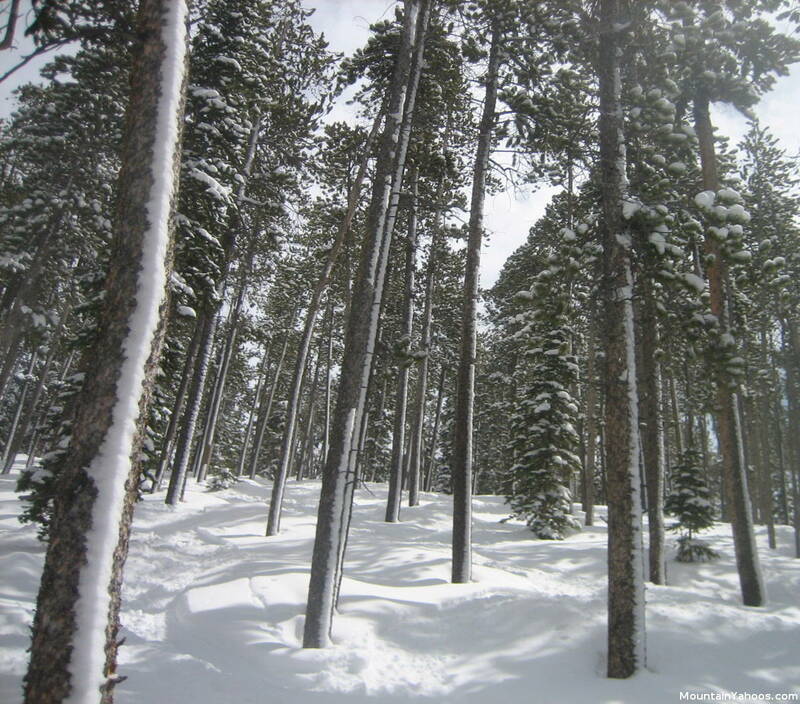 If you are an advanced skier and enjoy the trees and powder stashes they hold, you are in for a treat at Keystone. 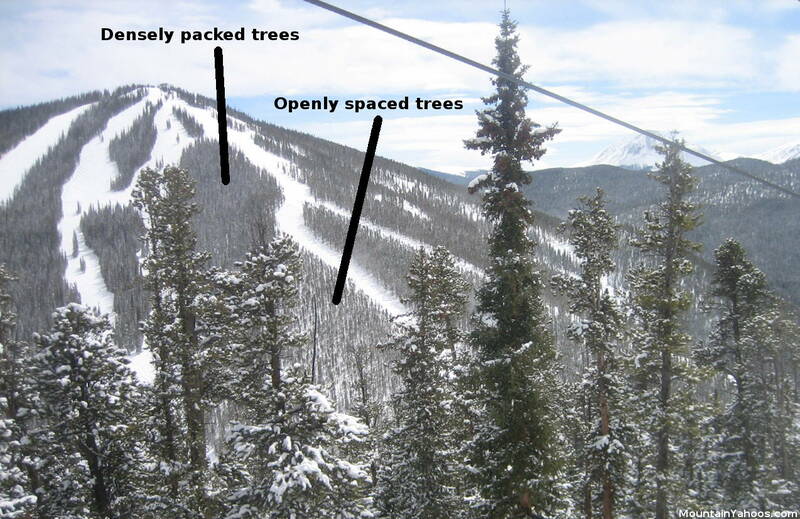 There are vast acres of tree skiing here, most of which is overlooked. 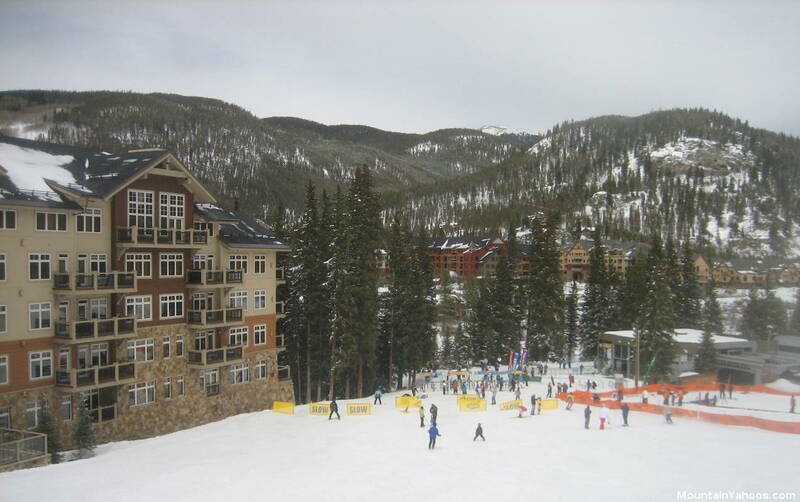 One favorite is off of the "Outback Express" lift between the trails "Elk Run", "Bighorn" and "Porcupine". Here is a tip in finding the areas where the trees are more openly spaced. From the chair lift it is obvious to see that some areas are densely packed with trees and other areas are more openly spaced. This is not so obvious when on a regular marked run and trying to find a good tree trail. Once located, go for it especially on powder days. This mountain has plenty of terrain for the beginners and intermediates. Beginners will be happiest on Dercum Mountain, the first peak closest to the village. Intermediates can venture through the whole mountain with ease. Area 51 is probably the largest terrain park I have ever seen with an abundance of jumps and features I have only seen at Keystone. You may also enjoy watching as talented jumpers and riders take to the jumps and features. 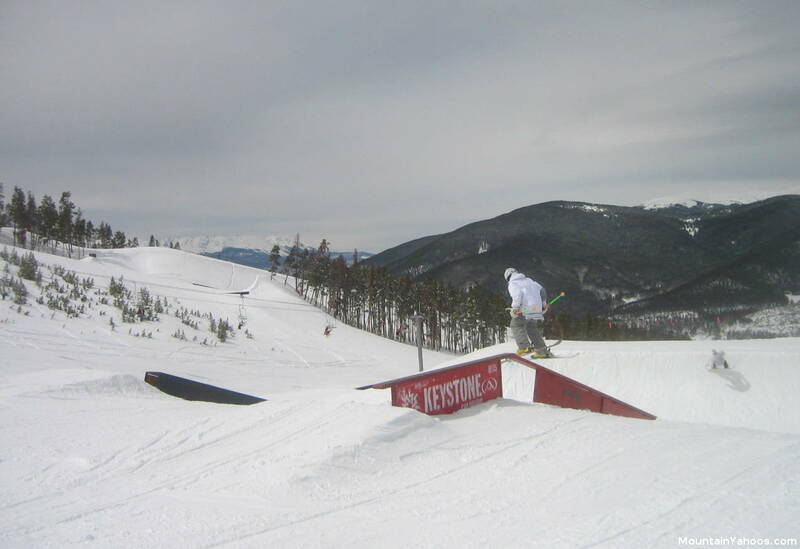 The other terrain parks are training grounds for A-51 with smaller jumps, low rails, features and 1/4 pipes to develop one's skill level. Night skiing is available on the gondola served runs as well as from the Peru Express lift. Night skiing and tubing at the "Adventure Point" tubing hill at the top of the gondola, is available until 8:00 pm (Thursday to Saturday) or until 6:00 pm (Sunday). 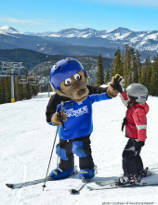 Check the Keystone schedule (printed on the trail map) as long weekends alter the duration. All runs open for night skiing are rated as intermediate of beginner. 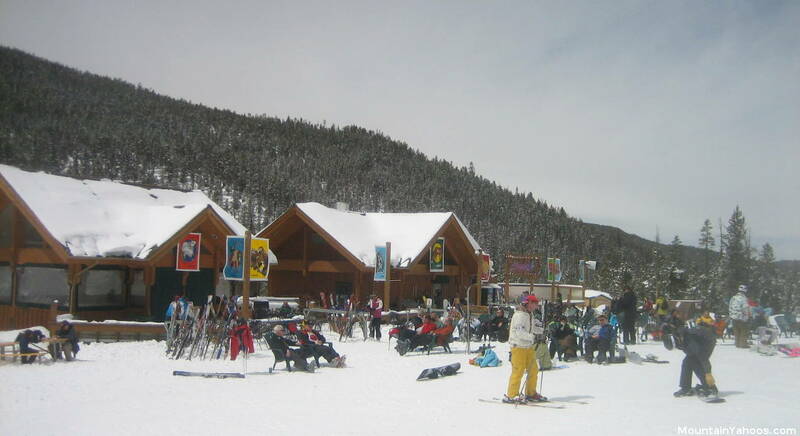 The Keystone ski resort has three base areas, two of which are accessible from the highway. 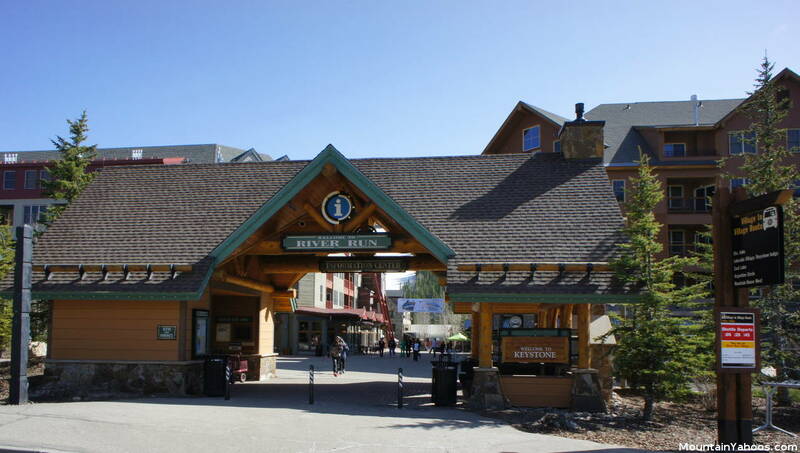 River Run: main Keystone base village with shops, restaurants, bathrooms, ATMs and parking. Base of the gondola. Mountain House: at the base of Peru Experess lift, this base area supports the adaptive center and medical center as well as bathrooms, ATMs and parking. La Bonte's Smokehouse: not accessible by car. Provides bathrooms, food and a place to stay warm. 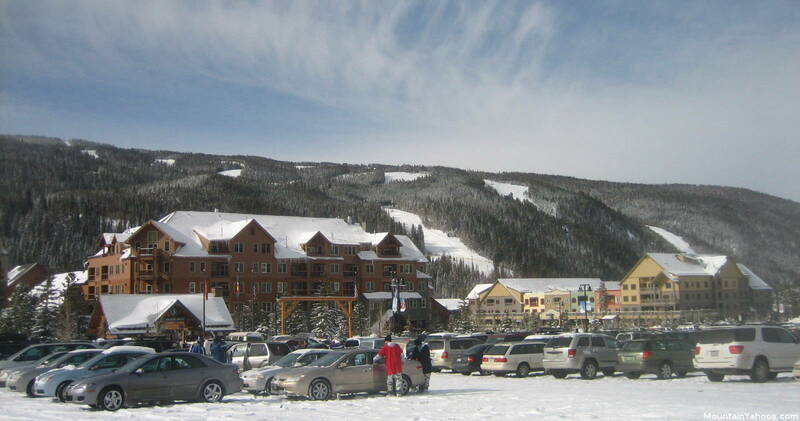 The River Run village at the base of Keystone can support all of your dining and shopping needs. You will find an abundance of clothing shops. Check out our virtual tour. 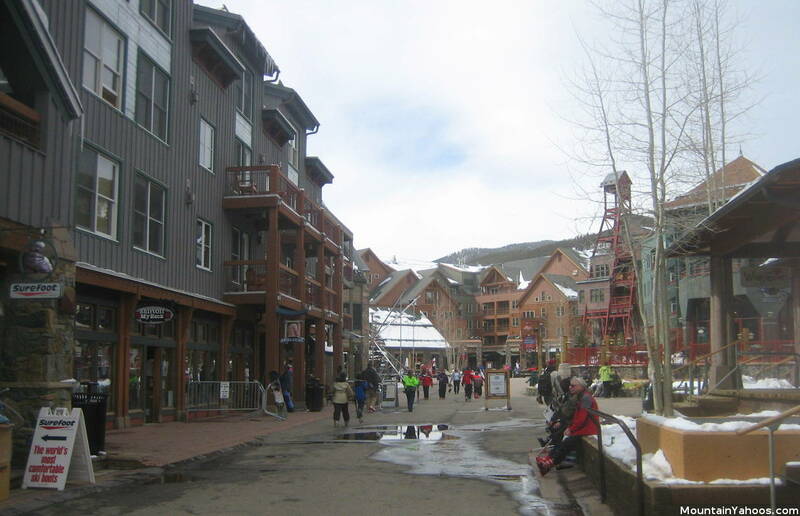 The large Silverthorne outlet mall is very close and can occupy a shopper for hours. Five dollar off coupons available in many of the local area magazines. 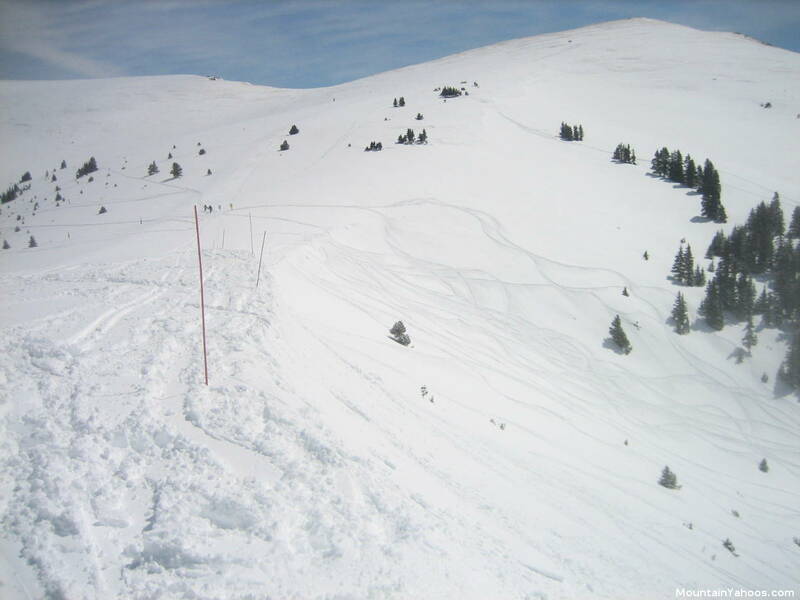 Snowmobile tours: Trail or back-country tours over the Continental divide above 12,000 feet. "Kiddie mobiles" available for young family members. Helmets, snowmobile suites and boots provided. Twelve passenger enclosed cat tracked vehicle: This tour will start from a former gold mine past abandoned log cabins through forested trails. Optional lunch, snowboard and ski tours available.